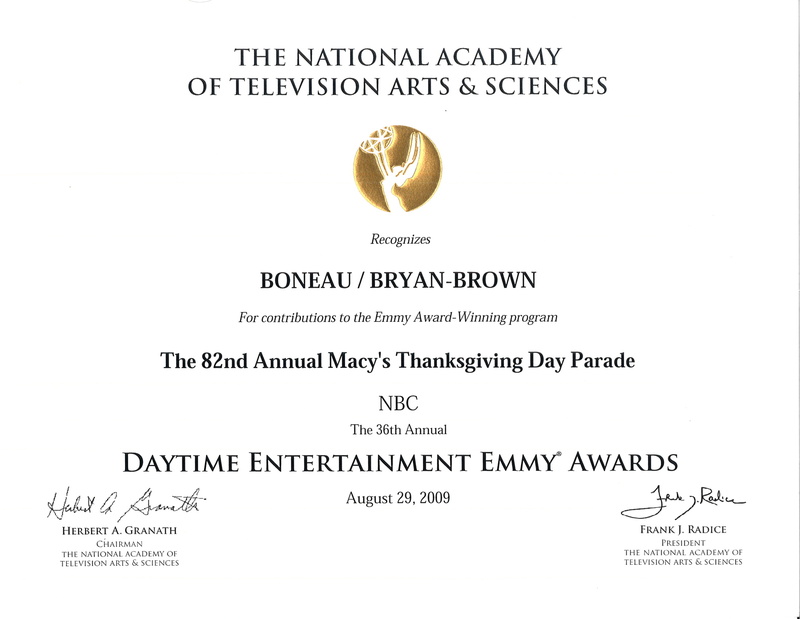 BONEAU/BRYAN-BROWN, INC., was formed in 1991 by Chris Boneau and Adrian Bryan-Brown, who jointly bring more than 40 years experience serving as press representatives on more than 200 productions on and off-Broadway, on national tour and in Europe. A representative collection of BONEAU/BRYAN-BROWN’s current, recent and upcoming clients include: The 39 Steps, Dirty Dancing, The First Wives Club, God Of Carnage, Jersey Boys (Broadway, London, Las Vegas, Chicago and the National Tour), Mamma Mia! (NY, National Tours, and numerous international productions), Shrek, Spider-Man, Stomp (New York, Las Vegas, London and the European Tour), The Norman Conquests, Mary Stuart, Burn The Floor, A Little Night Music, and Neil Simons Brighton Beach Memoirs and Broadway Bound. Pulitzer Prize winners include: Angels in America, Doubt, Proof, Rabbit Hole, Top Dog/Underdog, Wit, and Ruined. Recent film work includes the Broadway outreach for Mamma Mia!, Doubt, Dreamgirls, Martin McDonagh’s In Bruges, and Sweeney Todd: the Demon Barber of Fleet Street. Institutions BONEAU/BRYAN-BROWN represents include: Atlantic Theater Company, Broadway Cares/Equity Fights AIDS, Dodger Theatricals, The Guthrie Theater, The Kander & Ebb Celebration at the Signature Theatre in Arlington Virginia, Littlestar Services, Manhattan Theatre Club, The National Theatre of Great Britain, The Roundabout Theatre Company, The Royal Shakespeare Company, Denver Center, and Signature Theatre Company. For 16 years, Boneau/Bryan-Brown served as Walt Disney Theatrical Productions’ publicist and public relations strategist launching Disney on Broadway.